Explore Alside Sheffield windows reviews, pricing, ratings and warranty information on this replacement vinyl window. The Sheffield model is a step up from the Alside Excalibur, but still not a top rated vinyl window by any means. This model uses a sloped sill and is virtually identical to the Ultramaxx Window (although the Ultramaxx does use a snap in sill and has a middle lift rail that the Sheffield does not). The Sheffield is a bulkier than the Excalibur model and uses a multi chambered design, which will lower that U-value to roughly .29 with the ClimaTech glass option. Note: Alside offers the Sheffield window for western states and the Sheffield II for the remainder of the country, these windows are virtually identical except for a few minor climate-related details. The Alside Sheffield windows feature the following; a multi-chambered fusion-welded frame and sash, a beveled mainframe on the horizontal sliders and double-hungs, quad 4 weatherstripping, double-strength glass, a PPG Intercept Spacer System, a steel reinforced meeting rail and a constant force balancing system. Additional features include drop-in glazing, an interlock on the sash's metting rail for better security, a compression bulb seal, a capture sloped sill, and fully extruded lift rails. Consumers can also choose from prairie, craftsman, and colonial grid patterns, as well as custom grid pattern upgrades. The Sheffield and Sheffiled II models are available in a wider selection of interior frame color options than with the Excalibur that includes white, cherry, foxwood, dark oak, light oak, maple, soft maple and beige. Consumers can choose exterior frame color options that include white, castle gray, american terra, forest green, english red, desert clay, hudson, khaki and beige. Homeowners can expect to pay somewhere in the neighborhood of $35 to $45 per square foot for the Alside Sheffield. Comparatively priced windows include the Comfort World 4000 windows and the Silverline 8500 Series. According to the Alside site, their horizontal slider with the optional upgrade to the ClimaTech glass package with deliver a .30 U-factor and a .27 SHGC. The optional upgrade to the ClimaTech TG@ glass package will deliver a .23 U-factor and .23 SHGC. There was no rating or performance information on the standard glass pacakge for the Sheffield or the Sheffield II. 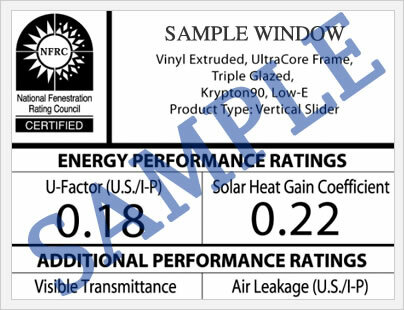 Alside does not list their windows on the nfrc.org website (as far as we could see) so there is no additional window ratings information available to the consumer. Alside Sheffield windows offer a lifetime limited warranty that protects against material and workmanship defects on the mainframe and sash. 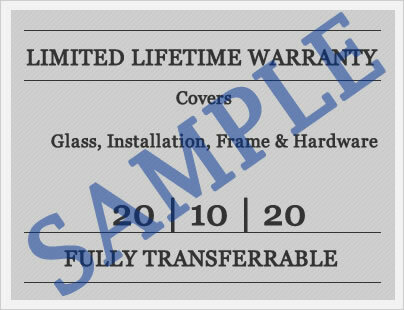 It also provides a lifetime warranty on all moving parts, the fiberglass screen and frame, as well as the insulated glass unit. For the first year, Alside will cover the labor costs of replacing or repairing the windows, after that the homeowner is responsible for the cost of the labor. The warranty is transferrable, although the company offers a prorated schedule to subsequent owners as to the percentage cost that they will offer. Exclusions and limiations exist so please read the entire warranty before purchasing the Alside Sheffield Series. Do you have a question about the Alside Sheffield or Sheffield II? Our industry professionals can help you get more information on pricing, upgrades, installation requirements, contractor bids, as well as help you sort through the quotes and companies you are considering for your next window replacement project. Want to add your Alside Sheffield windows reviews? Post it here and help other consumers get the information they need to make the right choice for their home.